I didn’t mind these Tim Tams but the flavour wasn’t anywhere near as nice as the flavour of regular chocolate Tim Tams in my opinion. Tim Tam three bean biscuits are are another great flavoured biscuit from Tim Tam’s.I love that they are constantly bring out new and delicious flavours to enjoy. 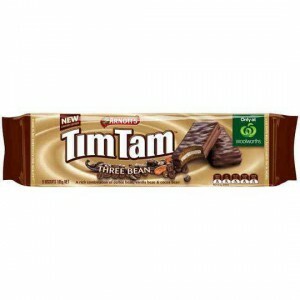 How would you rate Tim Tam Three Bean?